So, for any of our lovely brides thinking about going ring shopping with their significant others, consider this first. 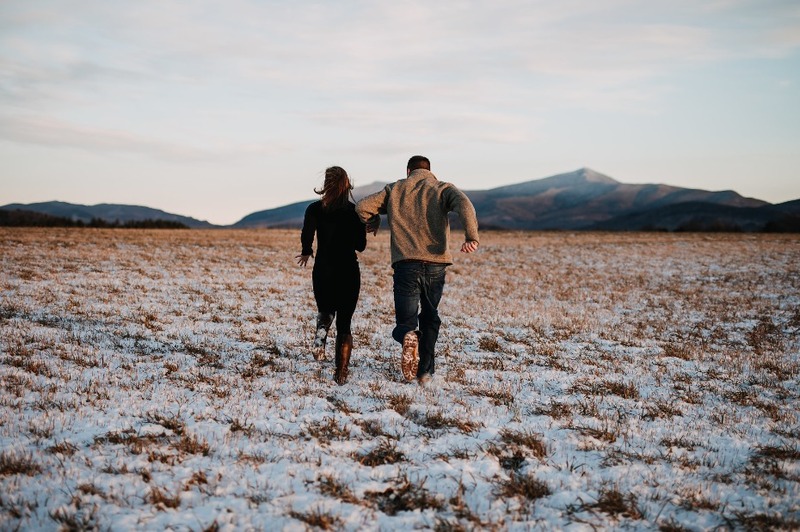 They can go out with you, give you all the good feels about how that band makes you glow, help you find ‘the one’ to wear forever, but then come home and shop for their ring the way they want to. He goes online and picks 5 rings that he wants to test drive at home (knowing that he can purchase online AT ANY TIME, if he's confident about his size). To help with selections, he can print out Jack Jordan's online guide and size himself. The bands are sent directly to his/your home in days, for FREE. Once he’s got the goods, he can try them on, live with them, go out places with them, hey, he knows what he signed up for 😉 - and explore the feel and fit so that by day 3, he knows which ring(s) he wants to purchase. Here's where he can reconfirm his band size with the sizing guide included in the Home Try On package. When he’s made up his mind (with your input, of course) and finalized his fit, all he needs to do is login to his Jordan Jack account and make some decisions. 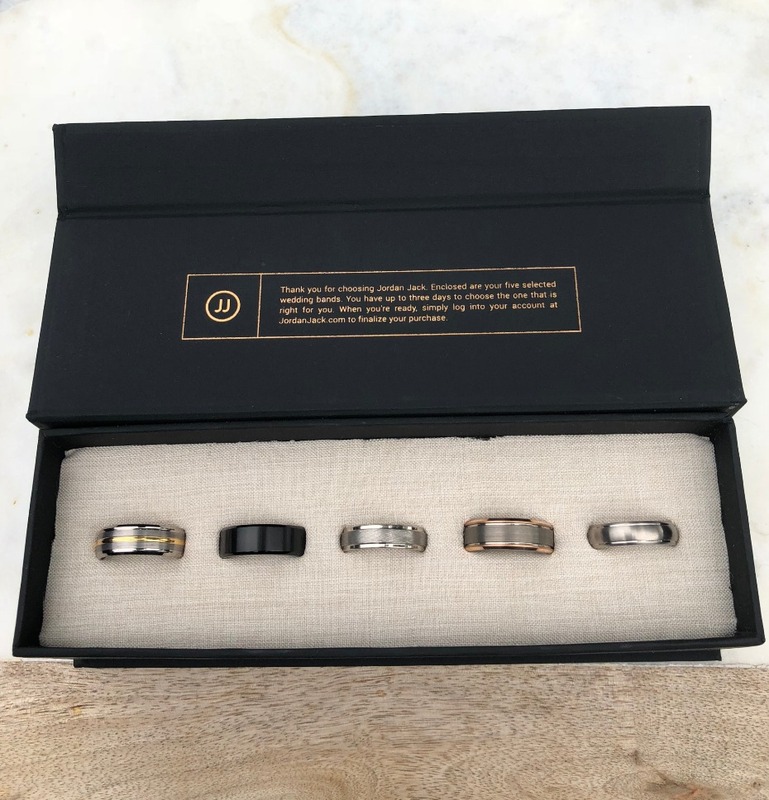 He can either return all 5 and order a ring that's custom engraved, or if one is already the perfect fit and size, he can feel free to keep it (and send the rest back). If he orders, he’ll receive his ring(s) literally within days. You can still coordinate your bands. Even if you’re getting rings from different retailers, it’s okay. You can still find something for him that vibes with yours, but do so in a way that isn’t exactly matchy-matchy. Maybe you have a rose gold pavé band, he might like a textured gunmetal ring with a rose gold-tone going on in the inside? Or perhaps you have your own pure yellow gold band with milgrain detailing and want his to play well with yours? Well, that can be done. 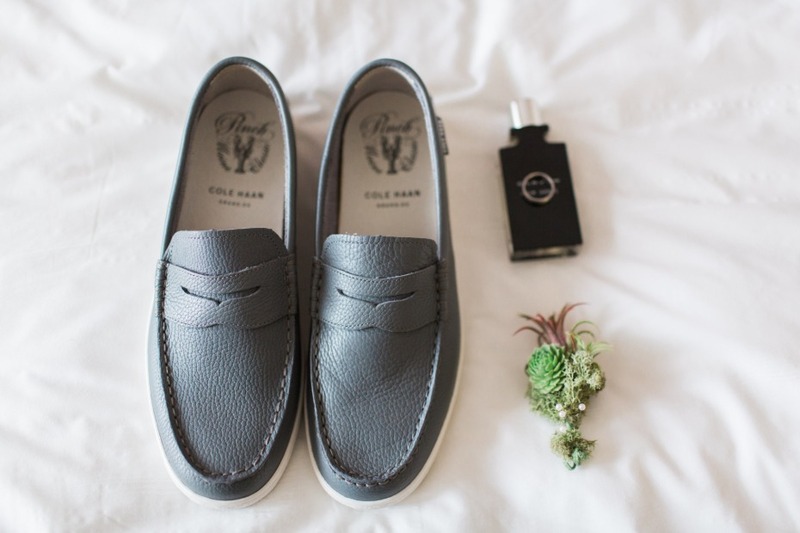 Jordan Jack just wants to make the experience simple and fun, it’s your time to enjoy each other and not stress over all the nitty-gritty nuptials details. And of course, that calls for a certain degree of his-and-hers hype, so if that means twinning in some ways, then so be it! You can be sure your sweetie’s sizing is flawless. Just speaking from experience, I know that guys aren’t always game for the try on sitch in the store. It’s high pressure, they feel rushed, and more often than not, they end up just grabbing something to ‘close the loop’ and get you on your way. Again, not generalizing, but c’mon, is this scenario not #allofus? Well, with Jordan Jack, sizing is a serious selling point. 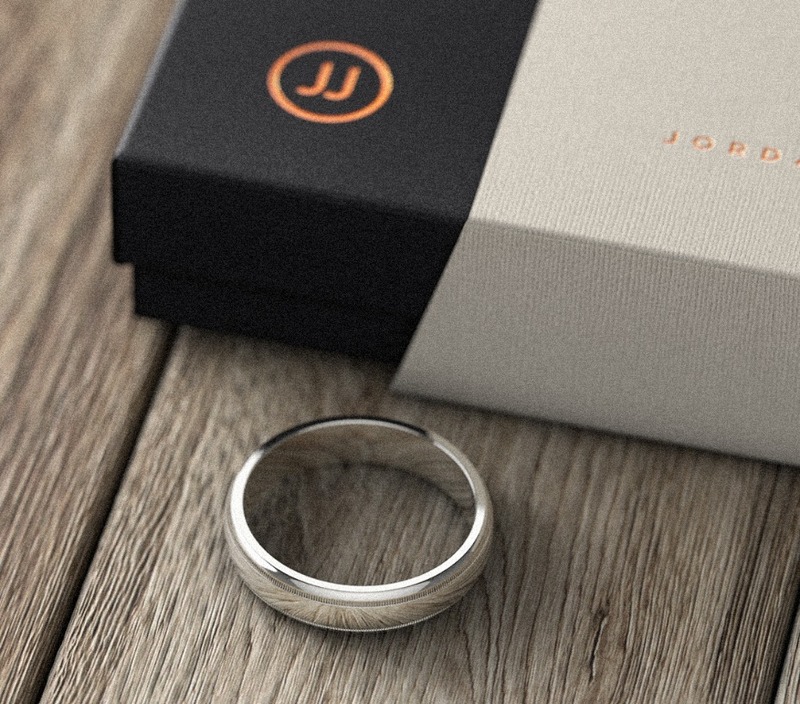 Your groom can print out JJ’s ring sizing guide before placing their 5-ring Home Try On order. 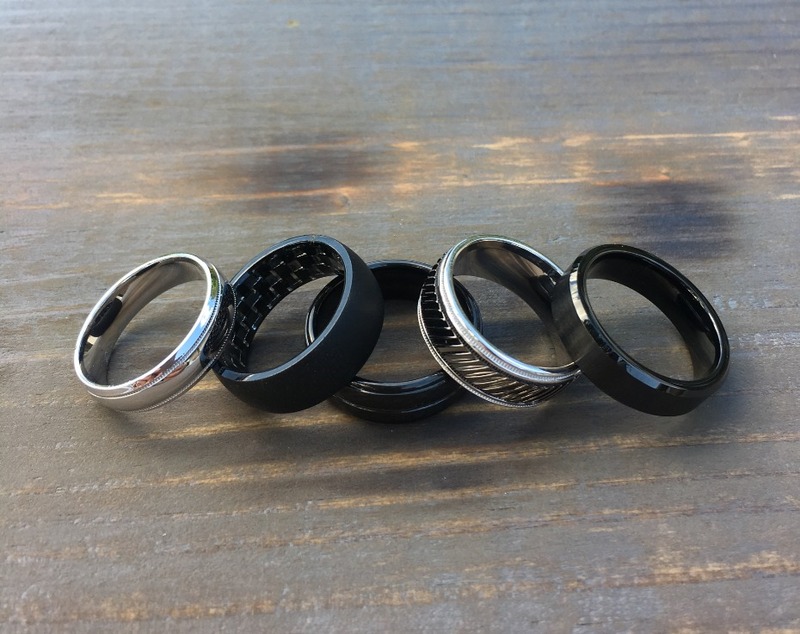 Confirm their size again, with another ring sizing guide included in the package. And then really lock in the best fit of them all from trying everything out IRL. After all, those getting ready pics on the morning of your wedding have got to look 👌 and the perfect fit is such a part of it. You can let your fiancé have a little fun. Again, he knows the wedding is technically both of your days ((I’m supposed to say that)), but really, is it? While you shop for a ring to match that stunning sparkler you already have, let him play a little bit. 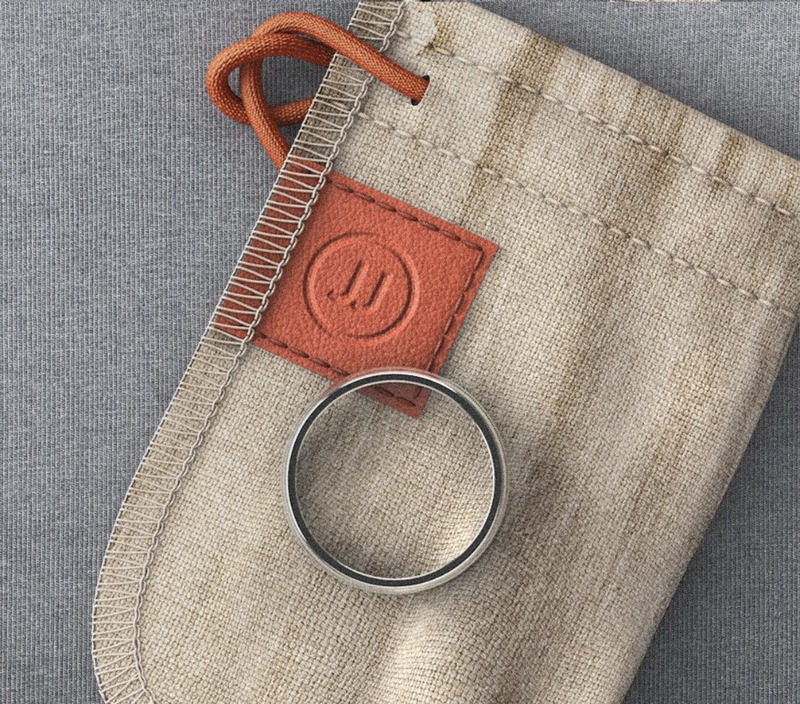 Jordan Jack has an incredible selection of rings to rifle through online - 60 styles and counting - and the repertoire will only be growing in the months and years to come. 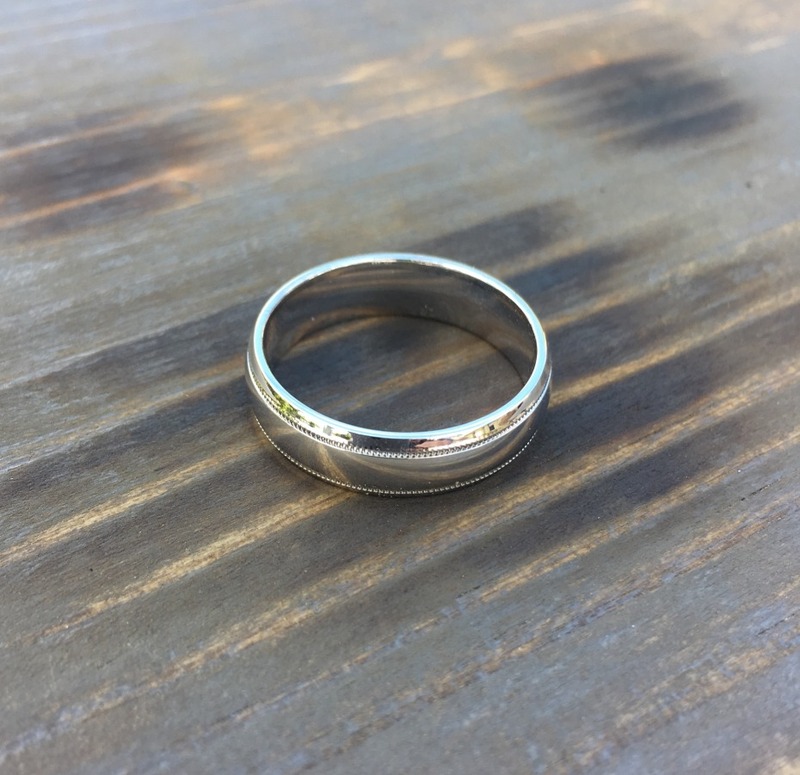 From basic metallics like Gold, Rose Gold and Silver, to trendier types like Titanium, Tantalum and Cobalt, the rings are rad and there’s truly a band for everyone. So, even if he sneaks in a matte black cobalt choice (first of all, 👏👏👏 we love this) or maybe even some stainless steel with diamond inlays, let him do it! Is this all ringing a bell to you? Hope so!! If not, just do us a favor and Gchat Jordan Jack’s URL over to your honey. He might say that he took a peek and ‘it was cool,’ but believe us, he’s already thinking of ways to convince you it was HIS decision to take another look at that Home Try On… Oh, and he probably started following them on Insta, too. Shhhh, we won’t tell! We partnered with Jordan Jack to share all the specs on this industry disruptor! As always, thank you for supporting our sponsors!